LEGO The Incredibles Confirmed For 2018 | Nerd Much? LEGO Juniors Incredibles 2 sets have appeared at Walmart recently and the packaging shows a teaser for the LEGO The Incredibles video game. As you can see in the photo, the consoles the game will be on are the PS4, Xbox One, PC, and Nintendo Switch. 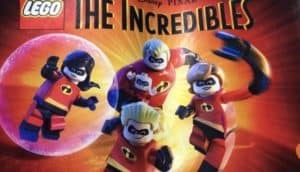 Back in January, rumors arose from Comicbook.com that TT Games was working on two titles: a LEGO game based on The Incredibles movie sequel coming out soon and a game centered around DC villains. This toy packaging confirms The Incredibles game and implies that it will be coming out fairly soon, at least within 2018. There are no further details given, but we likely look forward to a formal announcement soon. This is actually the first time that a Pixar title has been converted into a LEGO game. If you are a fan of Pixar but never got around to playing a LEGO game, this is a perfect match. The humor in the Pixar movies is filled with very similar humor to the LEGO games. For example, there are plenty of self-aware jokes about being LEGO shaped, tongue-in-cheek jokes about the franchise they depict, and so much more. The Incredibles 2 movie is directed and written by Brad Bird, who also wrote and directed The Iron Giant and Ratatouille. The film will star the incredible voices of Catherine Keener as Evelyn Deavor, Bob Odenkirk as Winston Deavor, and the cast of the first movie will be returning to fill their roles as the Parr family. The plot of the movie appears simple, Mr. Incredible is made to care for his toddler, Jack-Jack, while his wife Helen goes out and saves the world. As we can see in the trailer, Jack-Jack is about to cause plenty of trouble for Mr. Incredible with his newfound powers. Parenting is a tough job for all, and even Mr. Incredible. Are you looking forward to a LEGO game based on The Incredibles? Do you think its a match made in heaven? Let us know your thoughts in the comments below!